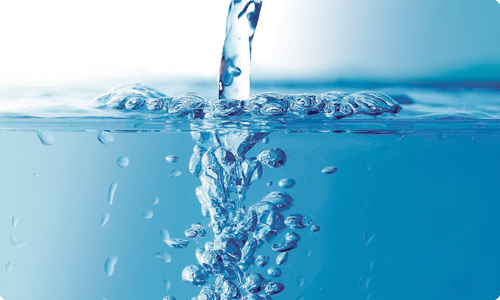 Do you rely on a domestic well for your drinking water supply? If so, have you ever tested your water quality? As a well owner, it is up to you to test your drinking water to ensure it is safe for you and your family. It is estimated that only 10% or less of households in Gallatin County that drink water from individual domestic wells have ever tested their water quality. Unlike public water systems, no one regularly tests your well water for you and you must remember to make it happen, just like getting an oil change in your car, or rotating your tires. In addition to testing your well water, other responsibilities come with owning a home that uses a well and septic. Protecting your drinking water can be done by ensuring the area near your well is clean and free from any potential contaminants and any pathways that could allow contamination in. Making sure your well cap is ‘sanitary’, meaning it has a tight seal and does not have any gaps that could allow insects or critters in, is important too. Here is a list of additional Well Maintenance Tips that you can take to protect your well water. Making sure that your septic system is pumped and inspected every 3-5 years is another responsibility. Consider the fact that regular pumping and inspection (a few hundred dollars at a time), is much less expensive than a failed septic system, which can cost thousands to replace! As with many things in life, prevention is much easier and cheaper when compared to dealing with a major problem. This certainly holds true when it comes to your well and septic system. Various local entities can assist you with testing your well and learning more about how to protect your groundwater quality. The Gallatin Local Water Quality District can answer questions and has water testing kits available at their office in Bozeman. Call (406) 582-3168 for more information. Cheers to good water quality for all!